Our American roadtrip would be incomplete without taking in one of America’s favourite pastimes – baseball. 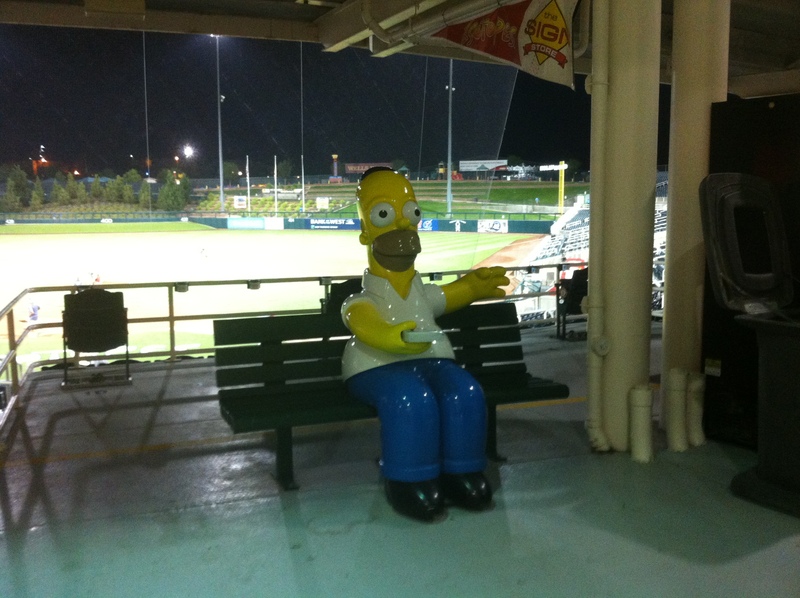 Knowing that we would be passing through Albuquerque for a night, we decided to take a leaf out of Homer Simpson’s book and catch an Albuquerque Isotopes game. We arrived at the Hotel Parq Central, just off Elm Street on Friday 13th (nope, you really can’t make this stuff up!). 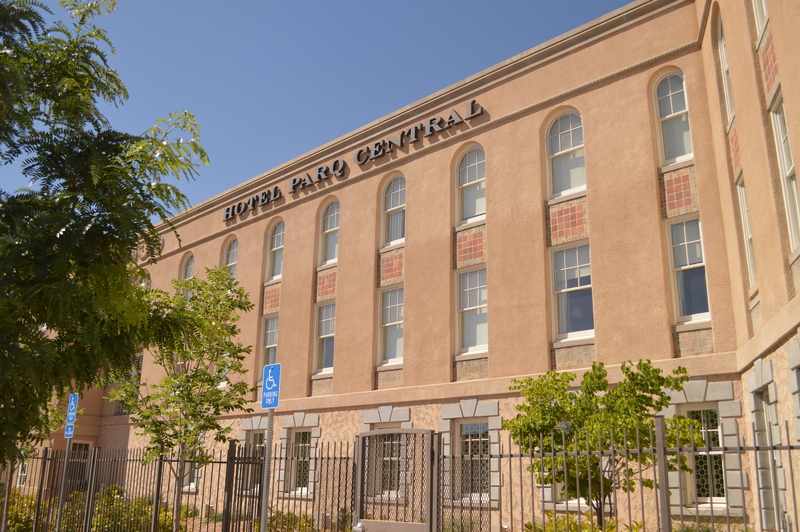 The hotel is a former hospital and really paid homage to the buildings former uses. The room had apothecary branded toiletries, there were displays of the old hospital along the hallways and in reception. It was a really nice place, not to mention it was only a five minute drive from the baseball ground – a five minute drive which they kindly offered to us free of charge via their shuttle service. We were lucky enough to be in town as the Topes were facing New Orleans Zephyrs and on a day they were giving out free jerseys to the first 3000 people who passed through the gate. Unfortunately, we weren’t one of those lucky folks… however we will apologise to the man who sat in front of us who forgot his freebie jersey. The game was a steal at just $15 dollars a ticket and the seats were great. 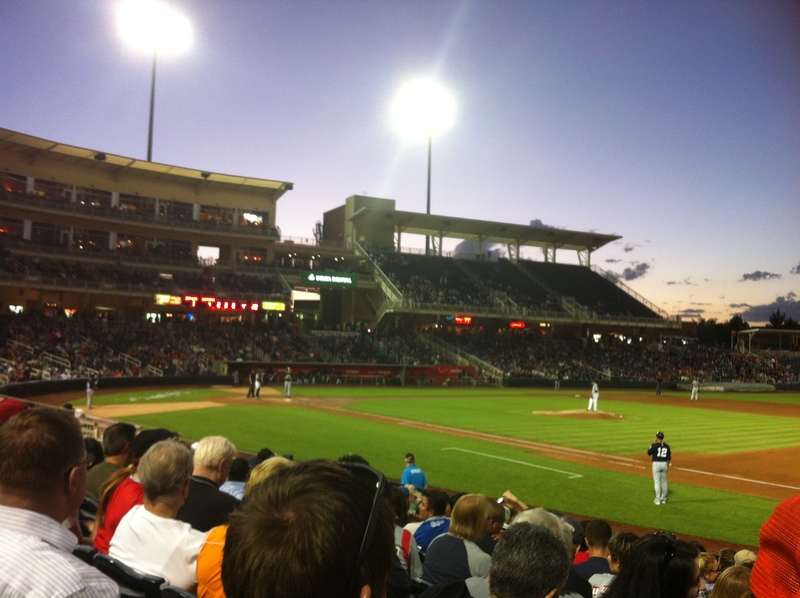 Also, we were lucky enough to catch a winning game, with the Topes winning 5-4 against Nawlins. I’ve got to say though, as folks from a country where baseball isn’t that big, we were pleasantly surprised by the whole experience. This game seemed focused on the experience for families as a whole and keeping the kids entertained throughout. Hence the mini intermissions where people can go on to the pitch and attempt to win prizes by creating a human hamburger (a legit story). Although as I write this I can’t help but think about the dad sitting behind us who kept telling his young daughter to “appreciate the game!” Of course he left in the top of the 7th inning so I guess he didn’t appreciate the game that much. Next Travelling or Moving Abroad?